Organizations are transforming with Cloud Modernization, Big Data, Customer Centricity and Data Governance. The foundation for these initiatives is critical business data, that allows organizations to deliver faster, more effective services and products for their customers. But, managing and controlling this data is key to business continuity and the management of business risk. First, most have limited intelligence of their customer data, its location, risk, and proliferation; moreover, they do not understand who is accessing the data, how it is protected and if there is suspicious use or access. Organizations need this intelligence to guide data protection, compliance and governance investments and decisions. Additionally, they can not ascertain compliance without understanding the risk of their regulated data; they need to track regulation compliance risk and automate its remediation. In addition, despite the investment of billions of dollars for information security and governance, organizations struggle to understand and protect their most valuable assets: confidential and sensitive data.Understanding sensitive data risk is key. Data risk analysis includes discovering, identifying, and classifying it, so data stewards can take tactical and strategic steps to ensure data is safe. Our Data Discovery & Classification solutions help organizations detect and protect critical data across their orgizations, lowering the risk of cloud modernization, big data, and customer-centricity initiatives. It leverages artificial intelligence (AI) and machine learning to deliver actionable data discovery and classification, risk scoring, behavioral analytics, and automated protection in a single solution. It supports both structured and unstructured data, cloud, on-premises, and big data anywhere as well as any relational systems. Data Masking de-identifies data and controls unauthorized access to production environments. Our solutions dynamically mask sensitive information and blocks, audit and alerts end users, IT personnel and outsourced teams who access sensitive information while ensuring compliance with privacy regulations. Our Dynamic Data Masking applies security actions in real time to dynamically mask, scramble, hide, block, audit, and alert about unauthorized access. It restricts access based on screen, table, column, row, and cell access level. masking algorithms to any sensitive data, in any format. While supporting virtualized and cloud-computing environments, Dynamic Data Masking prevents unauthorized access to custom applications, packaged applications, data warehouses, and operational data stores without performance impact. Our Dynamic Data Masking provides business-critical information only to those required to see the data, based on selectively applied security rules. The solution also leverages your existing identity management software to speed implementation time and increase your security footprint on applications and tools. Functional appearance and integrity of masked data is maintained for complex applications by synchronizing data values across rows and tables. We enable you to protect your data across your organization regardless of where it’s stored or where it resides. It doesn’t matter if it’s in the cloud, on a big data cluster, or on a mobile device. All protection, reporting, and policy management is all performed from an intuitive central managed environment. Software testing can take upwards of 50 percent of the time required to develop and deploy new initiatives or rollout upgrades or patches to existing systems. During the testing process, finding, securing, and provisioning of test data that meets test case requirements can present a significant challenge. If representative data exists in production databases, test teams can request non-production, masked copies of the data. This can take weeks to months to have entire databases provisioned for use by testers, inserting delays in your agile development processes. If data does not exist, testers can manually create data sets. This can be difficult, however, and the breadth of test case coverage can be limited. Our Test Data Management (TDM) solution meets the broad range of demands across application owners, infrastructure and operations, developers, testers, QA, and compliance teams. Data volume growth in your business applications is inevitable. But it’s also a liability. With far-reaching implications, this growth impacts your ability to meet service level agreements (SLAs) and control your infrastructure and support costs. Every new application that you deploy not only increases the growth of your enterprise data, but also leaves behind one or more legacy applications and related data. Without a comprehensive strategy, the costs associated with managing the data for your applications portfolio and its required infrastructure will burden your IT budget. Datalumen can alleviate the burden. It puts you in complete control of your enterprise application data by defining performance and retention policies across your portfolio of mission-critical and legacy applications. 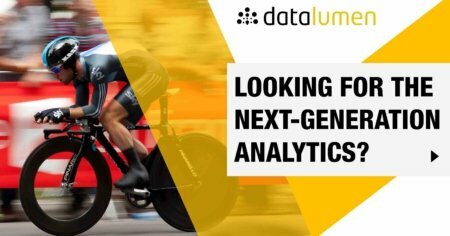 Datalumen can provide you a data domain discovery scan. In a non-intrusive way your data will be analyzed and percentage-scored for the different data classifications like PII (Personally Identifiable Information), PCI (Payment Card Industry), PHI (Personal Health Information), etc. If needed, these discovery mechanisms can be extended with your company specific classes. This data domain discovery scan will help you to identify your important data and allow you to take the appropriate measures. Get started and contact us for more details about your Data Domain Discovery.